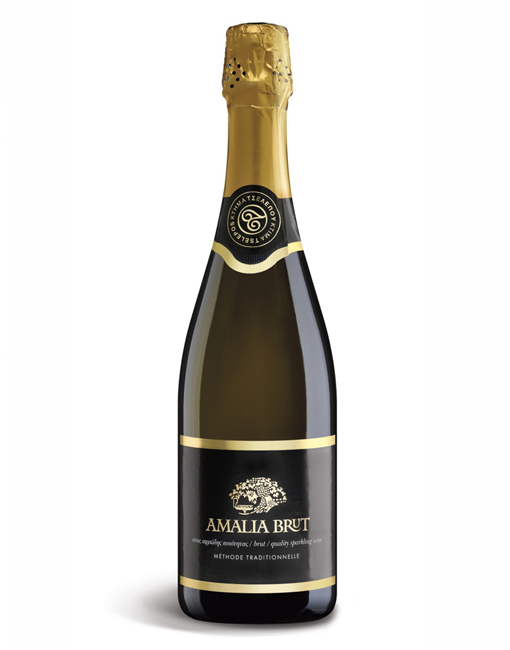 One of the first Traditional Method (second fermentation in the bottle) sparkling wines from Moschofilero in history, Amalia Brut offers another version of the grape: extra freshness with plenty fine bubbles and a rich mousse and autolytic notes stand next to the delicate and floral aromas of the variety. Grapes are sourced mostly from vineyards of contract growers in Zevgolatio (altitude 650m) and a minor quantity from the Tselepos Estate, Perpatiara location (altitude 750m.). Premature grape picking, chilling in reefers for 24h, whole bunch pressing and fermentation in stainless steel tanks. 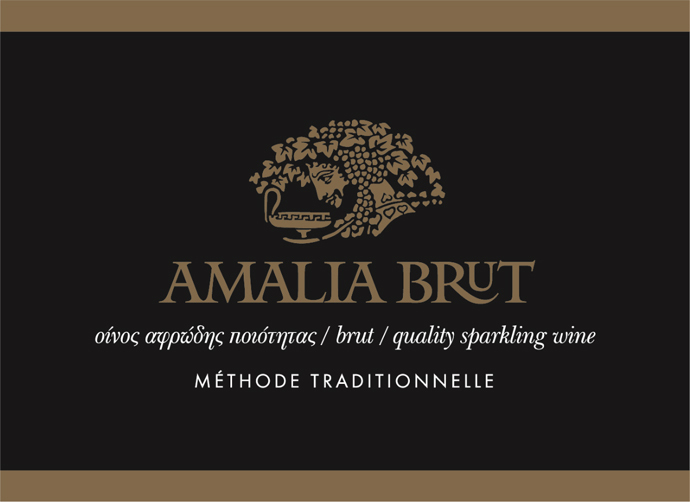 Secondary fermentation in bottles (traditional method) for 9 months and riddling in gyropalettes. 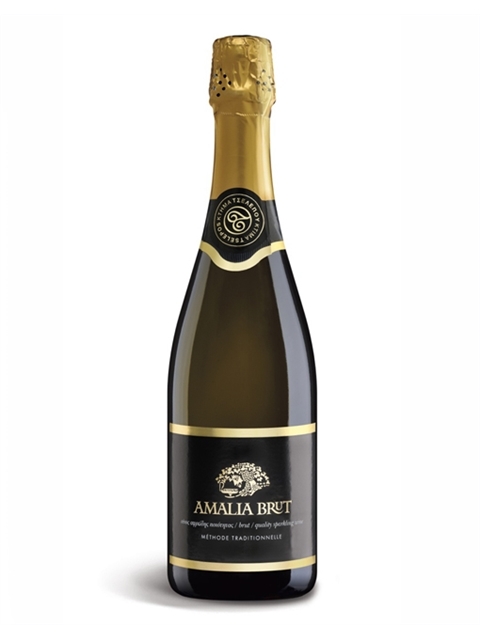 Amalia Brut makes a perfect sparkling wine from a fascinating grape for innovative drinking. 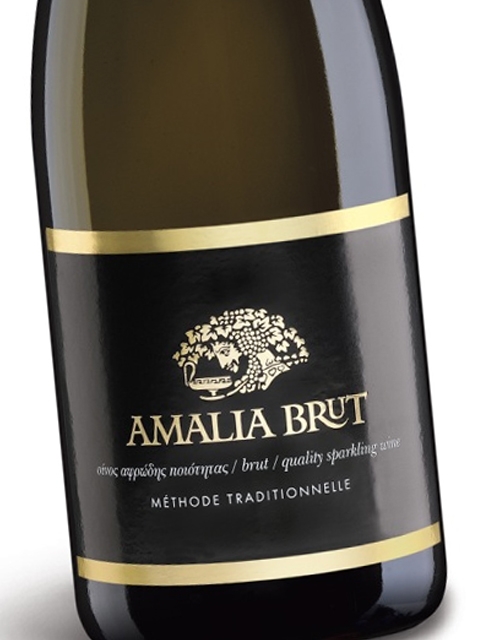 Clean, medium intensity, with aroma characteristics reminiscent of lime, green apple, jasmine, flower blossom and some autolytic notes (mainly yeast). Off-dry (12 g/lt), high acidity, medium (-) alcohol, medium body, medium flavor intensity with flavor characteristics reminiscent of lemons, lime, green apple and flowers. Medium (+) finish.